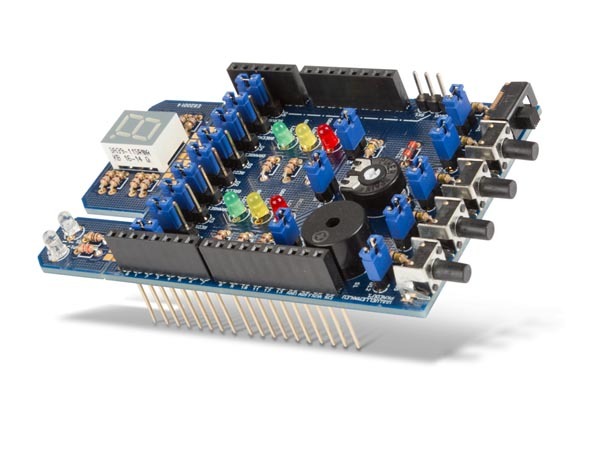 Use the STEM shield to explore the world of Arduino, sketches, electronics and many more. 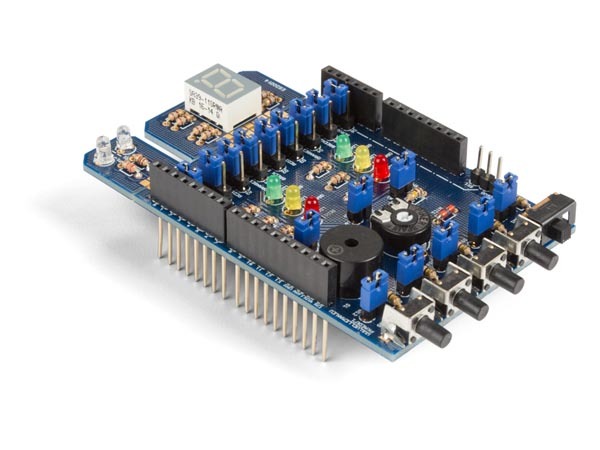 Learn how to program a microcontroller with this interactive Arduino® compatible STEM shield kit. 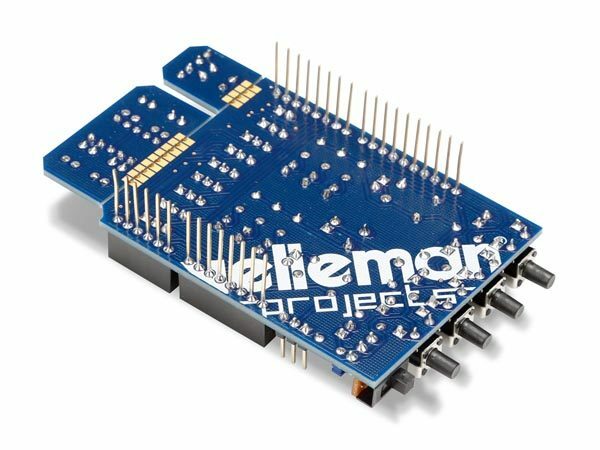 It enables you to get immediate feedback of what you have programmed, be it lighting up LEDs, making sounds or playing a memory game. 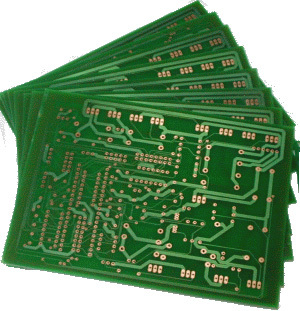 The STEM shield even has sensors so the possibilities are endless.